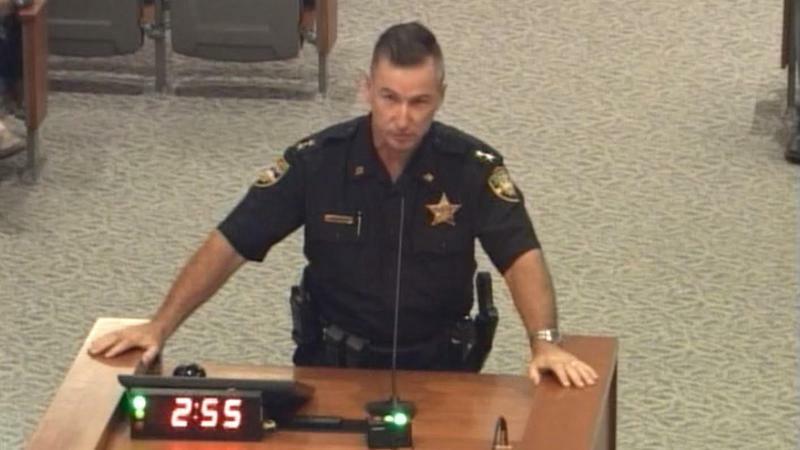 Jacksonville Sheriff Mike Williams on Thursday announced a team of officers have volunteered as LGBT liaisons with the goal of helping police better communicate with the LGBTQ community. 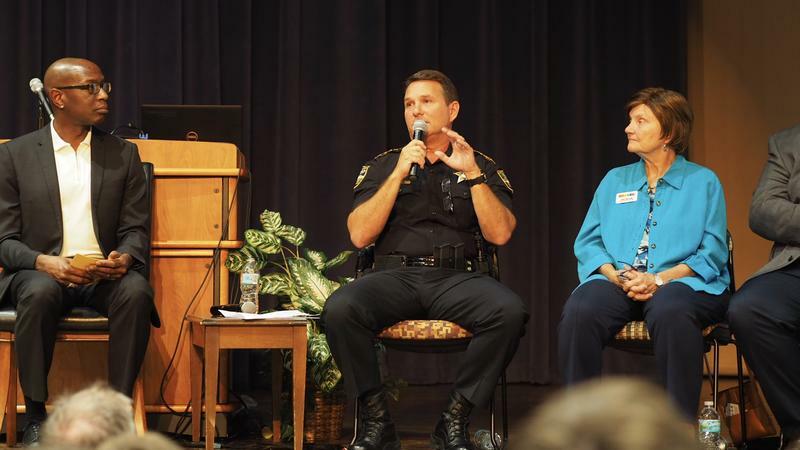 After months of protests and vigils for a string of transgender women killed in Jacksonville, the Jacksonville Sheriff’s Office is holding a community forum Thursday about LGBT safety concerns. 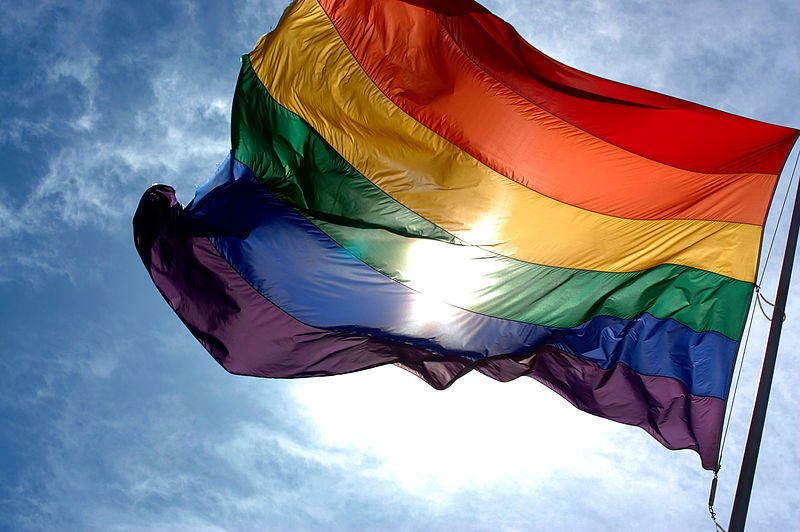 Following the shootings of four transgender women in Jacksonville this year, LGBT advocates have criticized the Jacksonville Sheriff’s Office for identifying the victims as men and using their given names instead of chosen names. Three of the victims died. 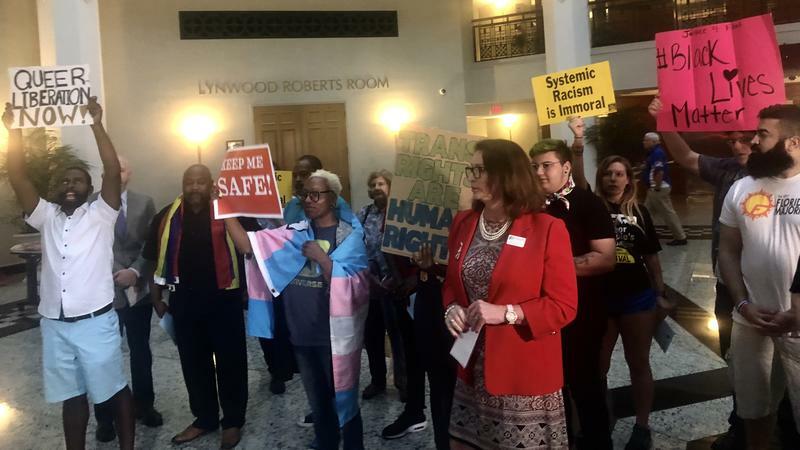 A group of advocates upset with the Jacksonville Sheriff’s Office’s handling of transgender shootings spoke out at the City Council meeting Tuesday evening. 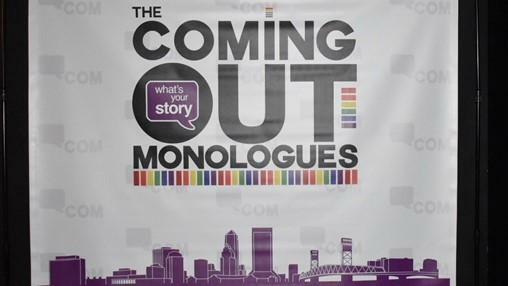 The Coming Out Monologues (COM) incorporates monologues created by First Coast community members telling their ‘coming out’ stories. It also has helped raise money for two local nonprofits. 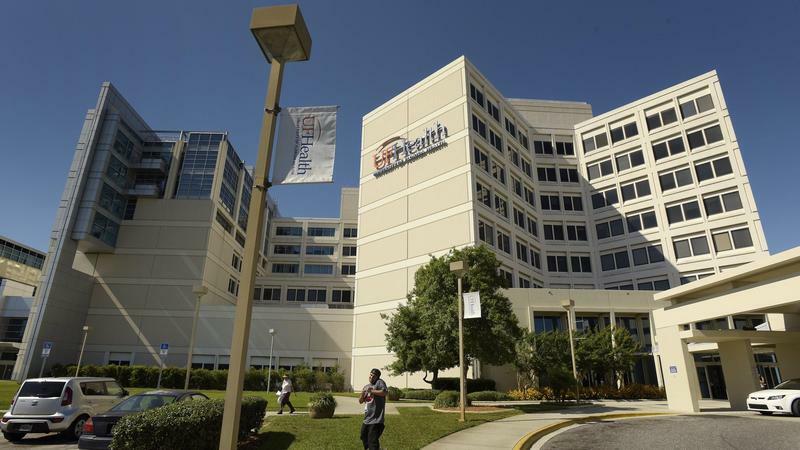 A new collaboration between pediatricians in Jacksonville is geared toward providing medical and mental health services to youth in the gay, lesbian, bisexual and transgender community as well as their families. 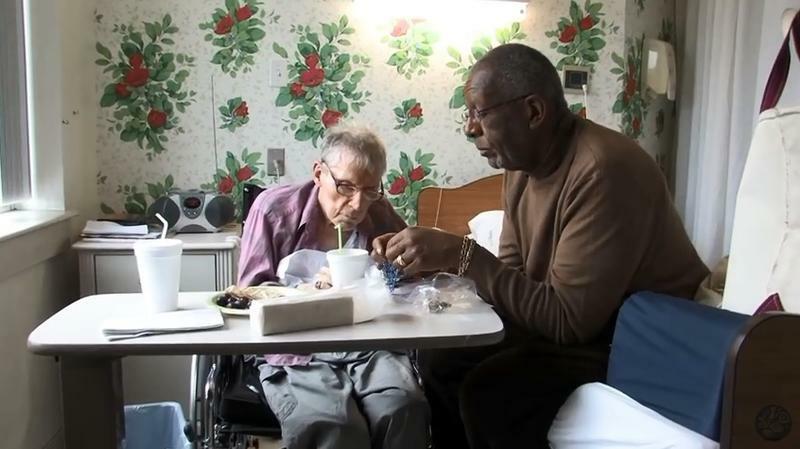 As with any other older adults, LGBT seniors face the typical challenges of aging, but because of their sexual orientation or gender identity, they are at a higher risk for abuse, isolation, discrimination and exploitation. 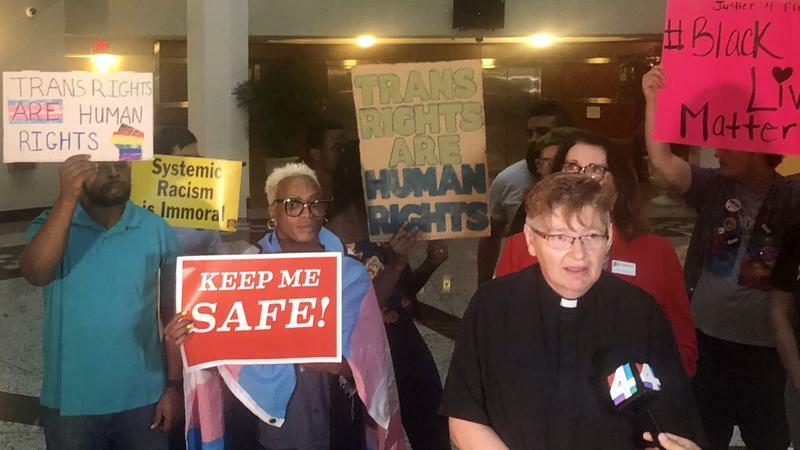 Some LGBTQ advocates are looking for a stronger relationship with the Jacksonville Sheriff’s Office, after they said police misidentified a transgender shooting victim as a man in February. 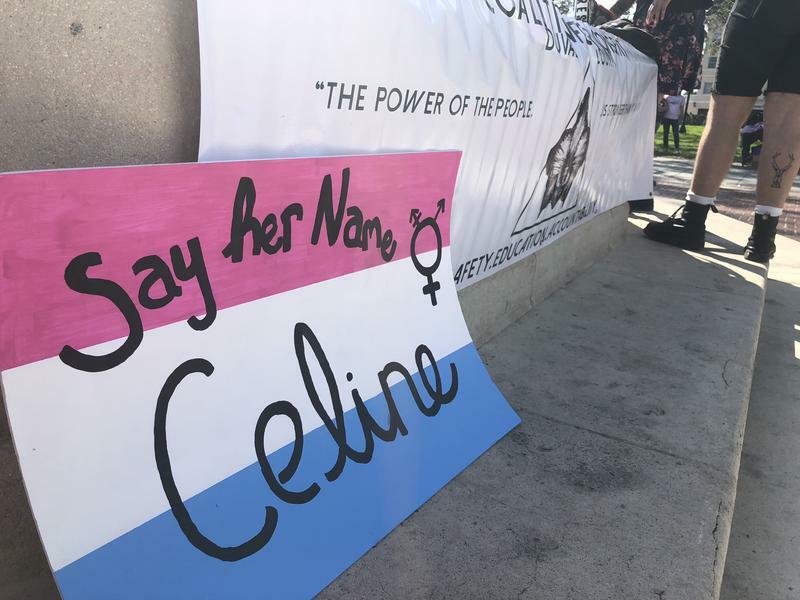 updated at 2/26 at 11:30 a.m.
LGBT advocates are upset with the way the Jacksonville Sheriff’s Office is identifying a deceased shooting victim who they say was a transgender woman. Police haven’t announced any arrests in the murder. 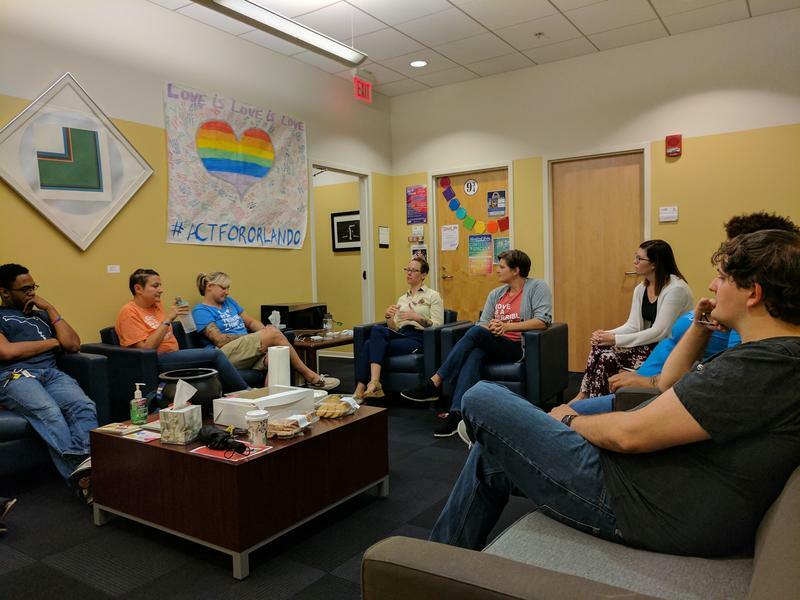 A year after a gunman opened fire at Orlando’s Pulse Nightclub, killing 49, young LGBT students at the University of North Florida joined school staff and counselors to reflect upon the tragedy. On this episode of Redux, we look at law enforcement in the River City. A recent poll shows mixed reviews for the Jacksonville Sheriff's Office, but overwhelming support for the use of police body cameras as citizens increase pressure on police to document its interactions on the street. We talk to folks from the sheriff’s office, as well as the police union to find out: What’s the holdup? Then, research shows bees are responsible for pollinating nearly a quarter of the food eaten by humans. We bring to you what’s being done here in Florida to help bees avoid extinction. 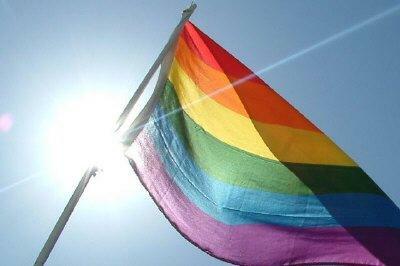 The Jacksonville City Council approved updating the city's human rights ordinances to include LGBT protections. The bill passed by a 12-6 vote. 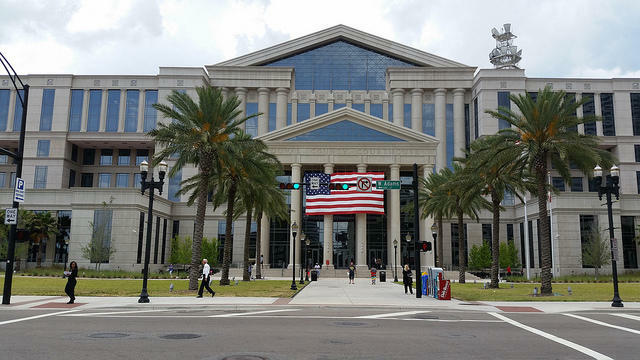 Jacksonville Mayor Lenny Curry took no action, resulting in the bill becoming law. 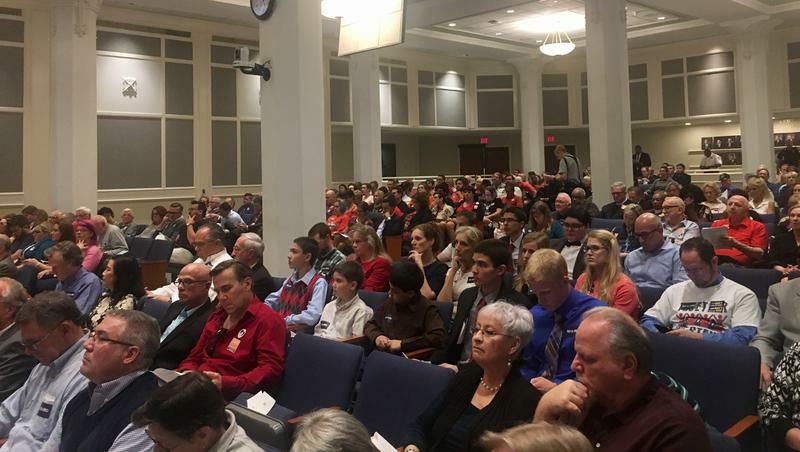 After more than seven hours of public comment over two days, a public hearing for a city council bill that would add LGBT protections to the city’s human rights ordinance concluded Wednesday afternoon.